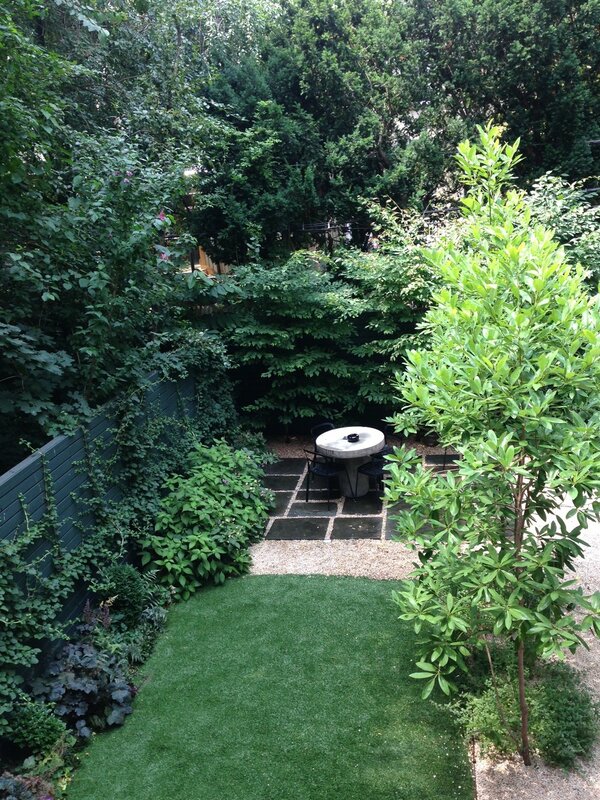 A simple French-inspired backyard, low-key yet formal. A month after installation, plants are setting in. Simple terracotta herb planters on the ipe steps. Three years later, the trees and vines are growing in. View for the stairs, the structure provided by the trees is evident. Bluestone and trees are in place. About to install the synthetic grass.